"For 2018 we do not want to rule anything out. Aru has a contract with Astana for 2017. But he is a reference of the present and future for grand tours and could be an option." The new Chinese TJ Sport which is the successor of Lampre-Merida, is ready to take off. The first team meeting has started in Darfo Boario Terme and many details about the new team have been unveiled. "For now it's TJ Sport which is a company that has already been active for years in the organization of sporting competitions and amateur events, especially in cycling. TJ Sport has created an investment fund, TJ Sport Consultation, to implement a project for promotion of cycling in China at all levels. The team is the flagship of the whole plan. Investors belonging to different areas have joined. The first name could be a Chinese sponsor,” he told La Gazzetta dello Sport. "We could add some young Chinese riders and we are considering riders with international experience as well. For 2018 we do not want to rule anything out. 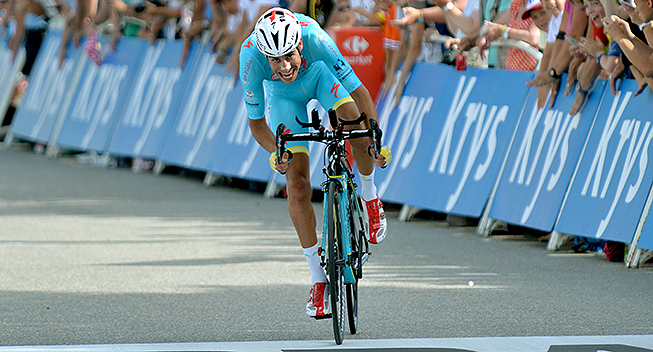 Aru has a contract with Astana for 2017. But he is a reference of the present and future for grand tours and could be an option."